The year 1880 saw the publication of a book that ranks as the single most important study of Islam ever. 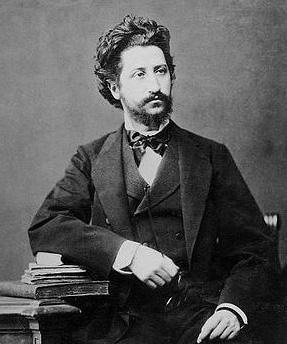 Written in German by a young Jewish Hungarian scholar, Ignaz Goldziher, and bearing the nondescript title Muslim Studies (Muhammedanische Studien), it argued that the hadith, the vast body of sayings and actions attributed to the Islamic prophet Muhammad, lacked historical validity. Rather than provide reliable details about Muhammad's life, Goldziher established, the hadith emerged from debates two or three centuries later about the nature of Islam. Since Goldziher's day, scholars have been actively pursuing his approach, deepening and developing it into an full-scale account of early Islamic history, one which disputes nearly every detail of Muhammad's life as conventionally understood - born in 570 A.D., first revelation in 610, flight to Medina in 622, death in 632. But this revisionist history has remained a virtual secret among specialists. 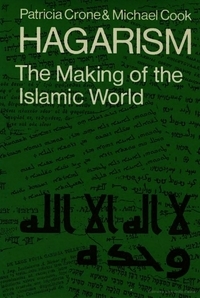 For example, Patricia Crone and Michael Cook, authors of the synoptic Hagarism (Cambridge University Press, 1977), deliberately wrote obliquely, thereby hiding their message. Now, however, two scholars have separately ended this secrecy: Tom Holland with In the Shadow of the Sword (Doubleday) and Robert Spencer with Did Muhammad Exist? (ISI). As their titles suggest, Spencer is the bolder author and so my focus here. In a well-written, sober, and clear account, he begins by demonstrating the inconsistencies and mysteries in the conventional account concerning Muhammad's life, the Koran, and early Islam. For example, whereas the Koran insists that Muhammad did not perform miracles, the hadith ascribe him thaumaturgic powers - multiplying food, healing the injured, drawing water from the ground and sky, and even sending lightening from his pickax. Which is it? Hadith claim Mecca was a great trading city but, strangely, the historical record reveals it as no such thing. The Christian quality of early Islam is no less strange, specifically "traces of a Christian text underlying the Qur'an." Properly understood, these traces elucidate otherwise incomprehensible passages. Conventionally read, verse 19:24 has Mary nonsensically hearing, as she gives birth to Jesus, "Do not be sad, your Lord has placed a rivulet beneath you." Revisionists transform this into the sensible (and piously Christian), "Do not be sad, your Lord has made your delivery legitimate." Puzzling verses about the "Night of Power" commemorating Muhammad's first revelation make sense when understood as describing Christmas. Chapter 97 of the Koran, astonishingly, invites readers to a Eucharist. 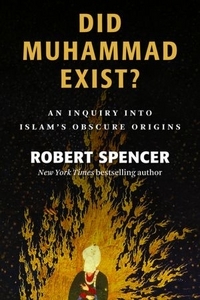 Cover of Did Muhammad Exist. Building on this Christian base, revisionists postulate a radically new account of early Islam. Noting that coins and inscriptions from the seventh century mention neither Muhammad, the Koran, nor Islam, they conclude that the new religion did not appear until about 70 years after Muhammad's supposed death. Spencer finds that "the first decades of the Arab conquest show the conquerors holding not to Islam as we know it but to a vague creed [Hagarism, focused on Abraham and Ishmael] with ties to some form of Christianity and Judaism." In very brief: "the Muhammad of Islamic tradition did not exist, or if he did, he was substantially different from how that tradition portrays him" – namely an Anti-Trinitarian Christian rebel leader in Arabia. Only about 700 A.D., when the rulers of a now-vast Arabian empire felt the need for a unifying political theology, did they cobble together the Islamic religion. The key figure in this enterprise appears to have been the brutal governor of Iraq, Hajjaj ibn Yusuf. No wonder, writes Spencer, that Islam is "such a profoundly political religion" with uniquely prominent martial and imperial qualities. No wonder it conflicts with modern mores. The revisionist account is no idle academic exercise but, as when Judaism and Christianity encountered the Higher Criticism 150 years ago, a deep, unsettling challenge to faith. It will likely leave Islam a less literal and doctrinaire religion with particularly beneficial implications in the case of Islam, still mired in doctrines of supremacism and misogyny. Applause, then for plans to translate Did Muhammad Exist? into major Muslim languages and to make it available gratis on the Internet. May the revolution begin. Mr. Pipes (DanielPipes.org) is president of the Middle East Forum and Taube distinguished visiting fellow at the Hoover Institution of Stanford University. © 2012 All rights reserved by Daniel Pipes. May 16, 2012 addendum: This article builds on one twelve years ago, "Who was the Prophet Muhammad?" that in turn builds on, The Quest for the Historical Muhammad, a book edited by Ibn Warraq.